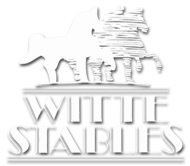 Peter Witte, owner and trainer of Witte Stables has been in the show horse industry the majority of his life. He has trained, shown and marketed scores of National and Regional Champions for more than thirty years. Specializing in the English disciplines, Peter has accumulated National Championship honors in Halter, English Pleasure, Park, Country Pleasure, Pleasure Driving, Formal Driving, and Combination divisions. Peter’s thirst for perfection is relentless, while his compassion for his horses is unmatched. A well known fact is the longevity of successful careers, of horses who had their formidable years at Witte Stables. Peter has also taught and coached countless numbers of youth and amateur riders to National honors in the Pleasure and Equitation divisions. Whether exhibiting talented show horses or coaching his clients with pride, Peter still loves the challenge. Riding since the age of three, Susan has always had a passion for horses. She began competing at the age of five and has been riding ever since. Growing up in upstate N.Y., at her family’s farm, Susan and her brother Peter, started through local 4-H and Saddle Pal Club Shows. Her first taste of victory was on her registered Welsh pony, named Sunstars Cirrus. They won State Pony Championships throughout New England for many years. The pony led to horses and showing became a full time endeavor. Peter’s first training barn opened in New Hampshire and Witte Stables began. Susan spent every weekend and school breaks commuting to the barn as well as shows. She began showing client horses at the age of fourteen. After graduating high school at sixteen, Susan had no question about spending her life working with horses. Susan’s partnership with Peter began and this brother, sister team has made their place in the industry for thirty years and counting. She is a licensed USEF judge in the Arabian division with Regional/National status. Susan has been the Region 7 Youth Coordinator for two years, and has served as a delegate for the Arabian Horse Association of Arizona.